Yogurt made from cow’s milk has been thickened by adding bacteria that turn the sugar into lactic acid (which gives it that tangy taste). After that, stabilizers like gelatin are added. Gelatin is made from boiled animals’ bones and tissues and is used to congeal foods. Cows’ milk and boiled animal bones are not part of a balanced breakfast. 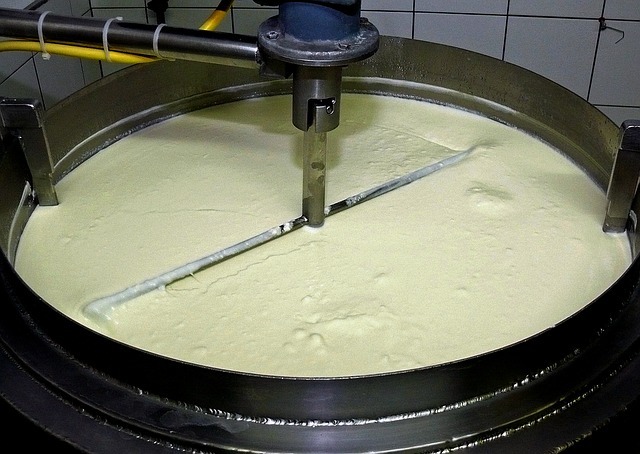 But wait—it gets grosser: The law allows pus to be in cow’s milk. Why? 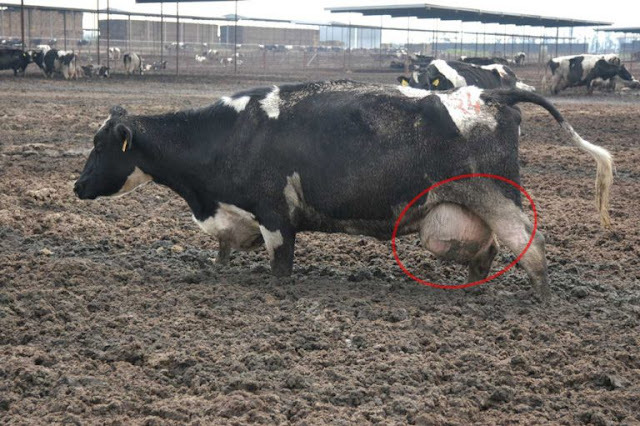 Because half of the cows on dairy farms are suffering from mastitis, a painful udder infection that comes from being forced to produce way more milk than their bodies would naturally. 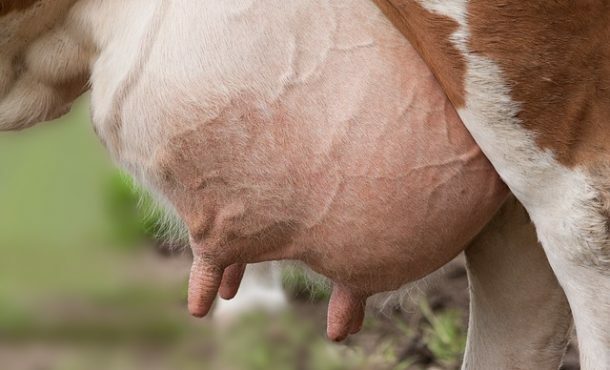 Infected udders = pus-filled milk. 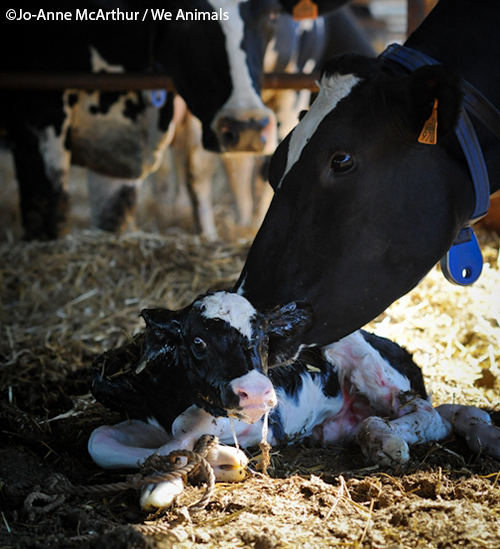 Like all mammals, in order for cows to produce milk, they have to have a baby. About a day after the mother cow gives birth, her calf is dragged away by farmworkers. This separation really distresses cows and calves, and mother cows have been known to escape enclosures and travel for miles to reunite with their young. Where do the babies go? 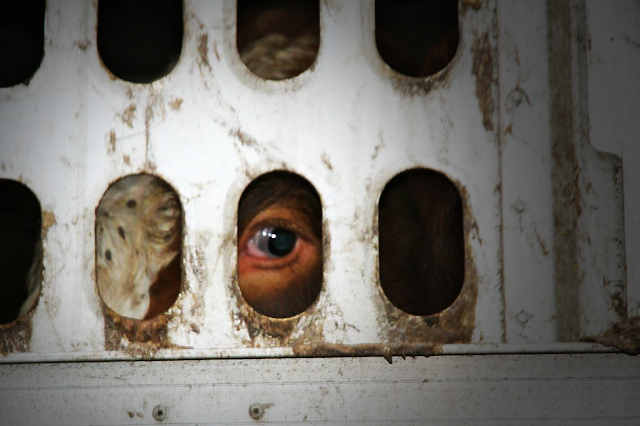 If they’re males, they’re often sent to dark, cramped crates. These crates are designed to prevent exercise and muscle growth so that the calves’ flesh is tender when they’re killed and sold as veal. 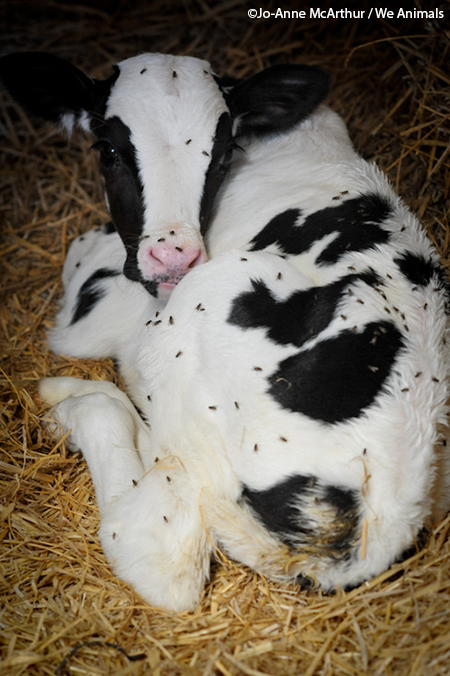 If they’re females, they will likely be used to produce milk like their mothers. Vegan yogurt never causes cows to suffer. 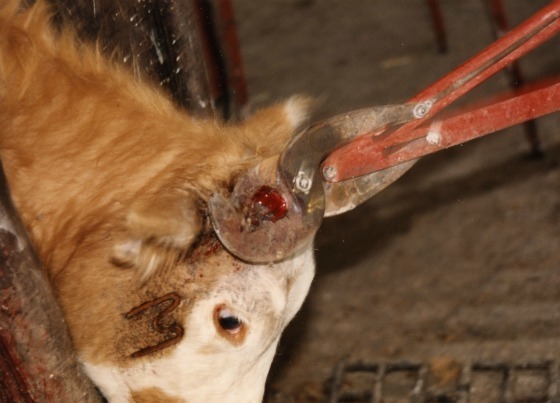 Cows on dairy farms often undergo painful mutilations like tail-docking and dehorning without any pain relief. Video footage taken on dairy farms shows that terrified calves struggle as their horn buds are burned off with a searing-hot iron. Sometimes, workers smear a caustic paste on their heads that eats away at the horn tissue. During tail-docking, calves’ tails are tightly bound with elastic bands to make the skin and tissue rot and die before it falls off—an extremely painful process. 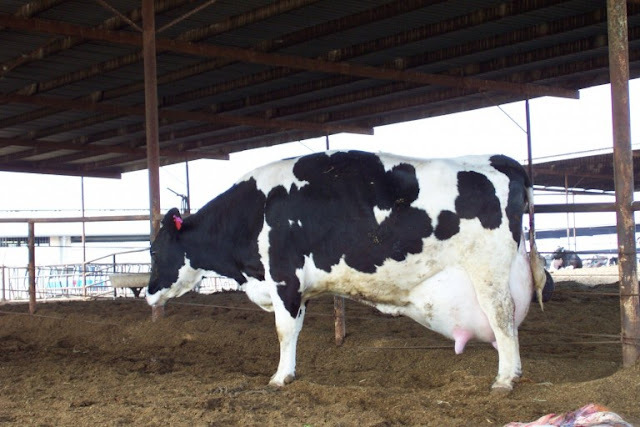 Normally, cows would produce just enough milk to nurse their calves, but genetic manipulation—and, in some cases, hormones—causes each factory-farmed cow to produce more than 20,000 pounds of milk each year. This overproduction can cause their udders to swell and become infected. If cows don’t die at some point during their miserable lives on dairy farms, they’re killed at the slaughterhouse. Cows can naturally live to be about 20, but those used for their milk are slaughtered when they’re only 4 or 5 years old. “Humane” dairy foods are not a thing. You can’t humanely forcibly impregnate cows, steal their milk and babies from them, and kill them. 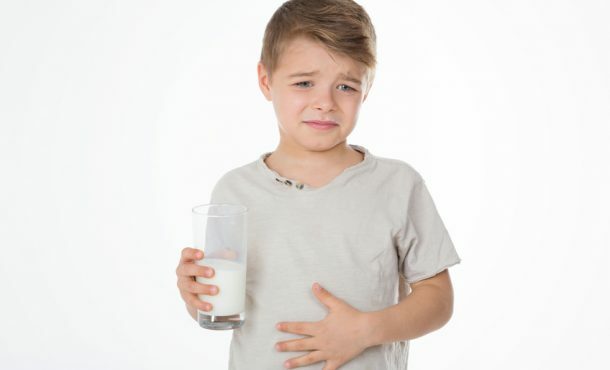 Dairy foods are the number-one cause of food allergies among young kids, according to the American Gastroenterological Association. What about calcium? Yes, cow’s milk has calcium in it—but scientists have known for a long time that the animal protein found in dairy foods actually leaches calcium from our bones. A 2014 study found that drinking cow’s milk may lead to higher rates of bone fracture in women and an increased likelihood of death in both men and women. It’s also linked to irregular heartbeats, asthma, headaches, fatigue, and digestive problems. Beans, kale, almonds, figs, quinoa, chia seeds, sesame seeds, blackstrap molasses, and fortified orange juice (to name a few) are much better sources of calcium than cow’s milk. Large dairy farms have devastating effects on the planet. One cow used for milk produces 120 pounds of waste per day. Multiply that by the 9 million cows on dairy farms, and you have yourself a s***-ton of waste. 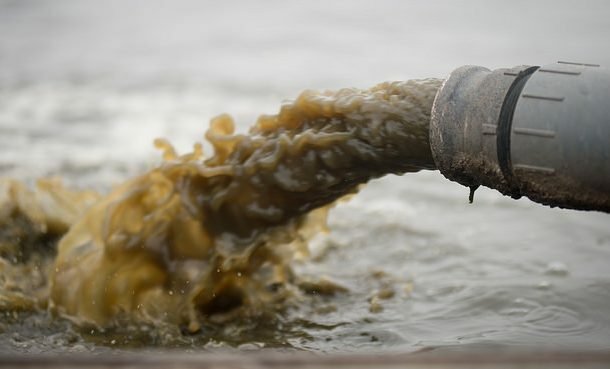 The Environmental Protection Agency reports that runoff from animal agricultural is the primary cause of polluted lakes, streams, and rivers. The dairy industry is also the leading source of smog-forming pollutants in California—America’s top milk-producing state. One cow emits more of these harmful gases than a car does. 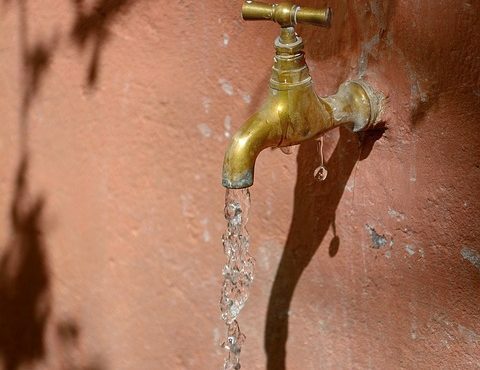 It also takes 1,000 gallons of water to produce just 1 gallon of milk. Don’t worry, my yogurt-loving friends. 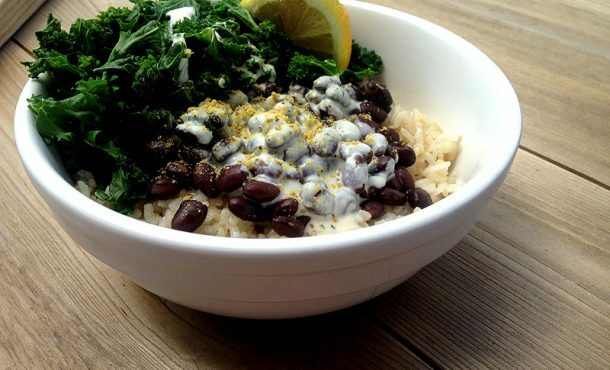 There’s a way for you to eat yogurt and be compassionate, healthy, and environmentally conscious: Try vegan yogurt! It’s delicious, and it’s made from plants. And let’s face it—plants are much better for you than a cow’s secretions (unless you’re a baby cow, which you’re not). This post was republished from peta2.com. You can find the original post here.